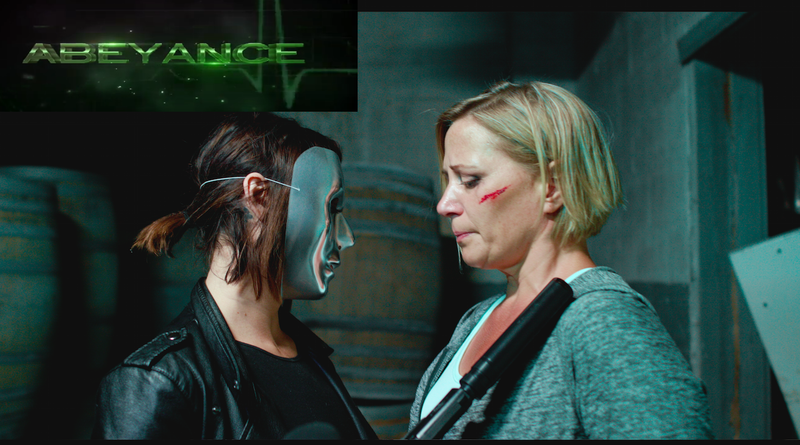 Painted Creek Productions’ presents the action packed trailer for their much anticipated sci-fi action thriller Abeyance. Multi award-winning filmmaker and actor Harley Wallen (Betrayed, Moving Parts) wrote, produced and directed this film and it stars Scout Taylor Compton (Rob Zombie’s Halloween 1 and 2), Richard Tyson (Kindergarten Cop, There’s Something About Mary), Billy Wirth (The Lost Boys), Mel Novak (Quentino Tarantino favorite Game of Death) and Vida Ghaffari (FOX’s The Mindy Project). After helping to create a revolutionary invention with great implications Bridget (Erika Hoveland), finds a character flaw in the company they’ve partnered with to develop the prototype that could be the fountain of youth. When she pulls the plug and ties to step away from their original deal, she immediately realizes they will stop at nothing to get it back. After her family gets kidnapped to sway a favorable vote, their hopes rely on their teen daughter Miranda (Angelina Cama) and her unlikely allies, Corey (Damien Chinappi), a suicidal military veteran and Stephanie, (Kaiti Wallen), a prostitute. Harley Wallen also stars in the film in the role of Sam. Calhoun Koenig (NBC’s Law & Order: Special Victims Unit) and Yan Birch (Wes Craven’s The People Under the Stairs) round out the ensemble cast.